I could open this blog with a faux-inspirational intro about building a better tomorrow for yourself. Or about how no one is holding you back from being the best person you can be, except the doubts in your own mind. But I know you, mysterious reader. You’re too busy designing your plan of attack to smash your climbing and fitness goals into smithereens—you’ve got no time to tolerate platitudes and pontificating. 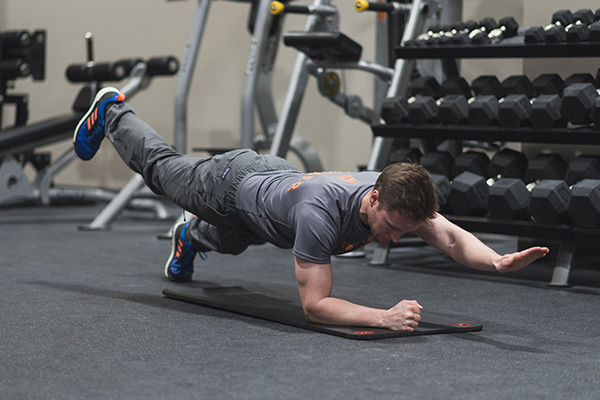 So, without further ado, check this beta for maximizing your workouts in order to crush your 2019 climbing goals. I get a lot of clients asking me to help them with a weight training plan, in the hopes that barbell and dumbbell work will get them strong enough to send their projects. While bench presses, squats, and weighted pullups won’t NOT help, let’s take a step back and look at what will help us most. When we climb our hardest, we’re trying to lug our bodyweight up a route or problem, not a collection of 45-pound plates. Take a trip into the territories of gymnastics and calisthenics. front levers, and pullup progressions, are a great way to practice maintaining core tension on overhanging terrain and roofs. Pistol squats and shrimp squats with high steps and powering through one foothold. Planches and handstands are great for antagonist training, and are awesome party tricks, to boot. If you still don’t believe me, check out the YouTube channels for strong climbers and boulderers. They’re all testing out their calisthenics prowess for our amusement. Magnus Midtbø, in particular, has a penchant for such grotesque feats of strength as one-armed muscle ups and pinky front levers. He also happens to climb pretty hard – like, V16 hard. Need a hand getting started with these new and challenging movements? Hit up one of our personal trainers, check out Reddit’s awesome /r/bodyweightfitness community, or pick up a copy of Overcoming Gravity 2E (written by a former Earth Treks member!) in our retail shop. We’re all familiar with our gym’s hangboard cultists. While you’re climbing on the main gym floor, you always see these nuts hanging without feet on injection-molded plastic boards, or maybe a wooden implement of some sort. One day, your curiosity gets the better of you, and you try your hand at hanging. A couple of seconds later, you’re spit off every edge, including the jugs. You figure you’ll stick to climbing proper, and leave the hanging to the old heads… and bats. 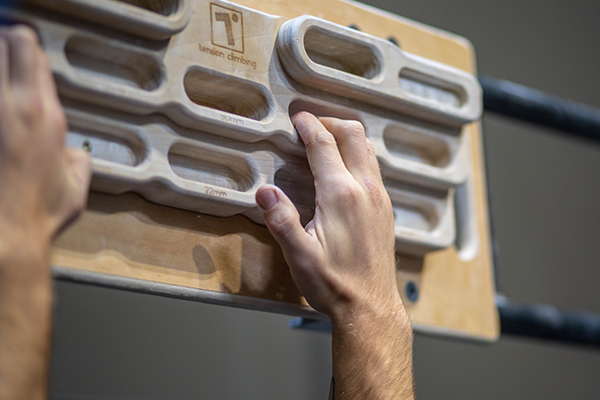 The bad news: finger-specific strength training of some modality is required for meaningful progression in climbing. The good news: there are a couple ways to make it much more approachable for your first foray into the discipline. If you want to stick to proper hanging, utilize the pulley system in your local gym. This will allow you to remove enough weight to start using open-handed crimps and edges, while giving you the tools to track your progress with numbers, instead of feeling easy, medium or hard. Other tools of which I’m a huge fan are no-hang devices. Instead of holding your own weight (modified or otherwise) over your head, attach a set amount of weight to a crimp, sloper, or pinch on the ground, and pick it up with one hand. These spare the shoulders from any additional workload and make it easier to train more difficult hand and finger positions. Your best bets would be something like the Beastfingers Grippul 2 or the Tension Block, but you could get away making your own in a pinch (ha!). Check out our old holds bins, or head to the home improvement store and get your craftsmanship on. You wouldn’t prepare for a Marathon by running the 100 meter dash, right? Make sure you’re training appropriately for your ideal outcome. First, make sure you’ve set up a SMART goal – one that’s Specific, Measurable, Attainable, Results-Oriented, and Time-Constrained. Instead of saying, “I want to climb harder this year,” opt for something like, “I want to send Pump-O-Rama (5.13A) in Rifle, CO, by July 2019,” or “I want to summit Denali in August.” Find a goal that’s right for you, and build a routine around achieving it. Let’s use Pump-O-Rama as an example. It’s a super steep, sustained haul on good holds of all types. For a client interested in this ultra-classic climb, I’d recommend a plan that incorporates tons of ARC (Aerobic, Respiration, and Capillarity) training on a steep systems board, lots of pulling strength work for the lats and shoulder girdle, and, of course, a ton of time leading in the gym to get the mind strong and the clipping efficient. Mountain Project also identifies a weird knee-bar move in the crux, so I’d encourage this climber to find easier routes that involve knee bars to hone that peculiar skill. For someone interested in mountaineering, I’d assign tons of Stairmaster time and endurance training. Someone looking to climb a V8 boulder outside would get to know the Campus board like the back of his/her hands. Research your goals, find out what makes them uniquely difficult, and prepare appropriately.